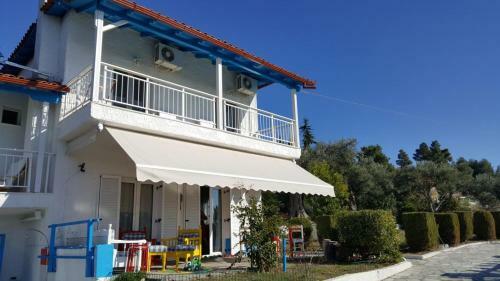 Located in Nea Skioni, Villa Halkidiki provides air-conditioned accommodations with a terrace and free WiFi. 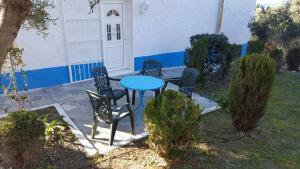 The property was built in 1980 and has accommodations with a balcony. The vacation home is composed of 3 bedrooms, a living room with dining area, a fully equipped kitchen and 2 bathrooms. A flat-screen TV with satellite channels is featured. Sani Beach is 27 miles from the vacation home. 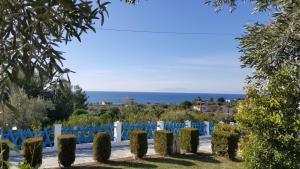 The nearest airport is Thessaloniki Airport, 64 miles from the property. 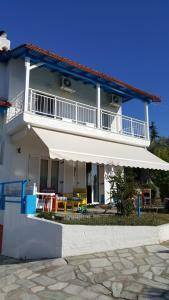 When would you like to stay at Villa Halkidiki? This holiday home has a balcony, fireplace and kitchen. 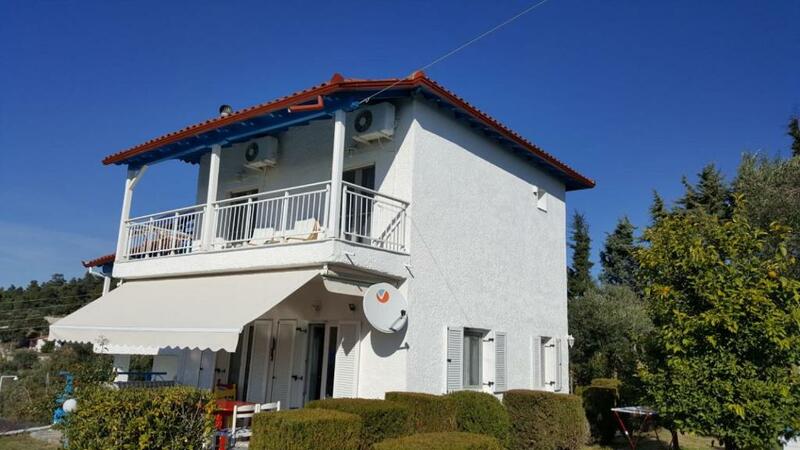 Villa Halkidiki is a stylish and well-equipped detached self-catering holiday house in a south facing position 10 minutes walk from the centre of charming fishing village of Nea Skioni enjoying fantastic views of the sea, sunset, Aegean coastline and Mount Olympus. Completely renovated in 2017. There are three bedrooms all on the upper floor with air conditioning, a bunk bed, a very comfortable double sofa bed and furniture to store your clothes. 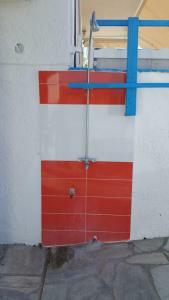 We have a guest WC on the ground floor and two shower rooms / WC upstairs. 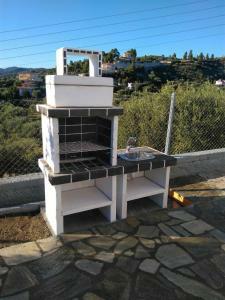 The kitchen is fully equipped including a tall fridge-freezer, electric hob, oven, microwave, dishwasher, kettle, toaster, coffee machine and washing machine. Well stocked with crockery, cutlery, utensils and cookware too – a home from home! There is a clothes airer and ironing facilities. High chair and travel cot bed can be arranged. Lounge and dining areas inside and out. Electric sun canopy. Free WiFi. Large flat screen TV with satellite channels. 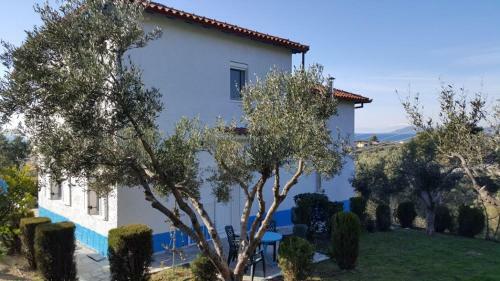 There are 5 sun loungers in the garden and the many olive trees provide ample shade. 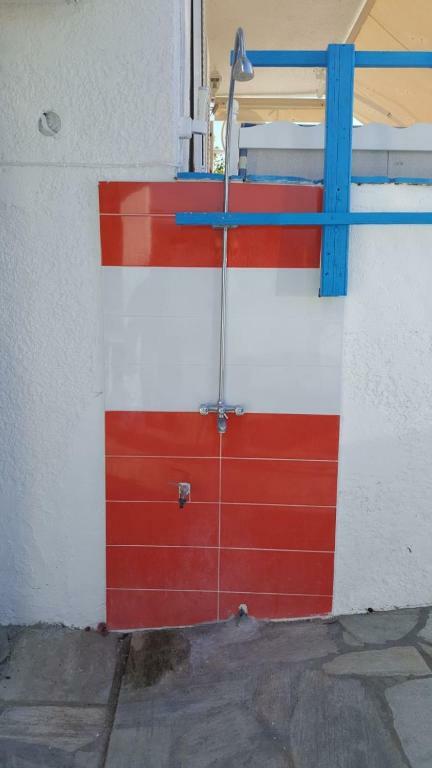 We have an electric grill outside to cook fish as well as an outdoor shower with hot and cold water to rinse off after the beach. We are not locally based but have an English friend who lives nearby who will meet and greet guests. She will issue the keys, show you around the house, how things work and is also available to help should you have any issues during your stay. It is situated on a small private hill 10 minutes’ walk from the centre of the village which has a pretty harbour and long sandy beach. The sea is only about 200m from the house where the beach is a little pebbly but sandy inside the water and you can swim in very clean water, often in complete privacy! In town the beach-front taverns provide parasols and sunbeds, which customers can use free of charge. There is also a children's play area; a volleyball court; showers and a couple of kiosks with rides, games machines, cold drinks, ice creams, cigarettes etc. Nea Skioni has a good provision of shops including 3 grocery stores, 2 bakeries, 2 butchers, 4 fishmongers, a pharmacy and places to buy souvenirs and beach paraphernalia! There is also a permanent ATM. Many options of places to dine and drink especially fresh fish and seafood. The property is well positioned for exploring the whole peninsula. 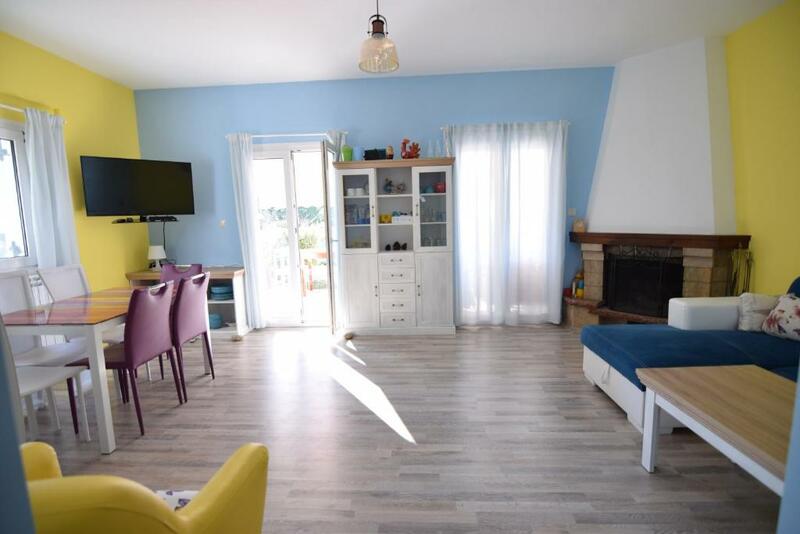 The area is best appreciated with your own transport but the village however is in easy walking distance and offers everything you might need. House Rules Villa Halkidiki takes special requests – add in the next step! Please inform Villa Halkidiki of your expected arrival time in advance. You can use the Special Requests box when booking, or contact the property directly using the contact details in your confirmation. We need at least 5 reviews before we can calculate a review score. 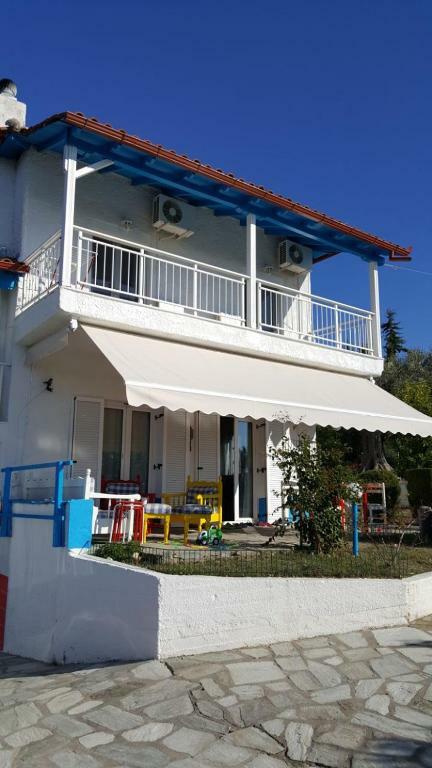 If you book and review your stay, you can help Villa Halkidiki meet this goal. The owner should provide a normal grill. That was an improvisation of grill which was at villa. The TV satelite antena did not work. In the bath upstairs was missing the bath curtain.